And I thought February was loaded with music. March will feature a massive amount of quality live music for South Florida ragers. 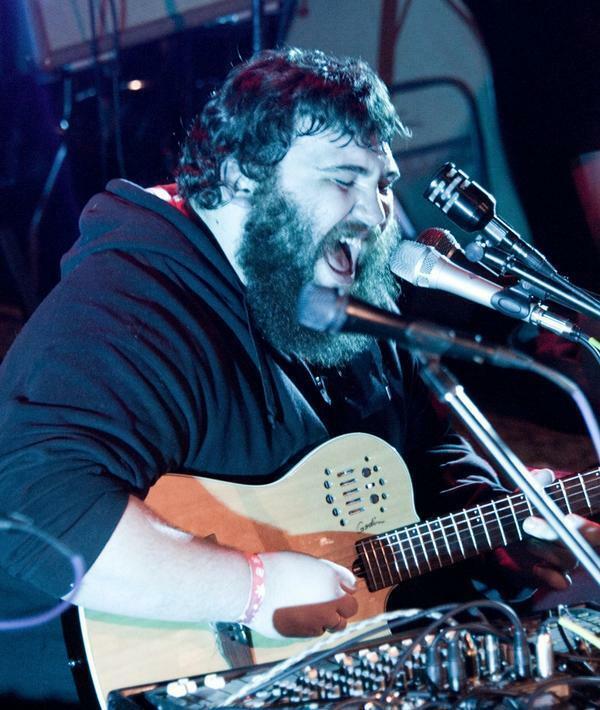 To kick the month off, you can find one-man-band extrodinaire, Zach Deputy, bringing his vibes of peace, love and positivity first to Boca Raton at The Funky Buddha Lounge and Brewery on March 1, then to Miami at Tobacco Road on March 2. Over the first weekend, Carlos Garcia will be hosting a little piece of New Orleans at his venue, The Stage. Friday, March 4, will feature Winston Turner’s Brass-a-holics Brass Band. Saturday, March 5, will feature up-and-coming trumpet sensation Shamarr Allen. On March 8, you can find ska-punk pioneer, Fishbone, throwing it down at Grand Central in downtown Miami. The following day you can find another ska-punk icon, Streetlight Manifesto, in Ft. Lauderdale at the Culture Room. March 11, head back over to The Stage to catch the funk of Roosevelt Carter and The Lee Boys. March 12 is a big one. 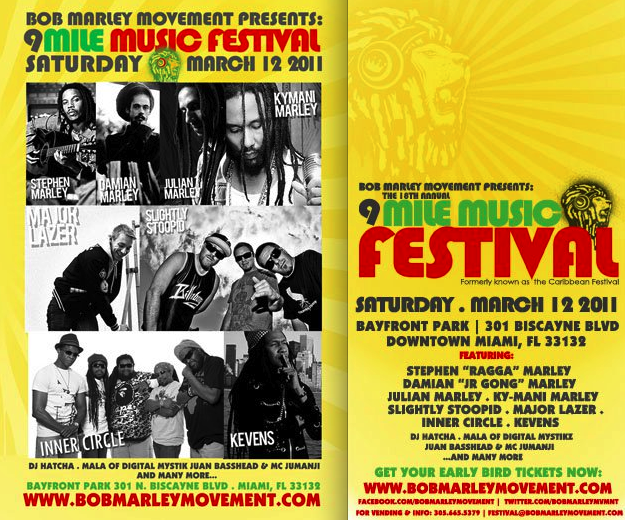 The 9 Mile Music Festival, formerly Bob Marley Fest, will be bringing some serious national acts to Bayfront Park including Slightly Stoopid, Thievery Corporation and Major Lazer to play alongside Bob Marley’s sons. Marley brothers slated to perform are Stephen, Damian, Julian and Kymani. March 13, features treats in store for both Miami and Ft. Lauderdale. Broward folks have G. Love and Special Sauce performing at the Culture Room. Miami folks have the opportunity to get down with one of the country’s greatest party bands—The Slackers. They’ll be bringing their big-city flavored ska and reggae jams to Churchill’s Pub, so it just might get out of hand! They come down maybe once a year, so be there! More reggae vibes to come on March 16, when Rebelution and Giant Panda Guerilla Dub Squad drop in at Revolution Live in Ft. Lauderdale. And those vibes will linger on March 17, when Sublime tribute group, Badfish, take the stage also at Revolution Live. On March 18, Transit Lounge will host local latin-dub juggernaut, Spam Allstars, along with Massachusetts jam band, Dopapod. If you’re at all into live music in Miami, you know who Spam is. You might not know the relatively new Dopapod, but take it from me— they’re definitely worth checking out. 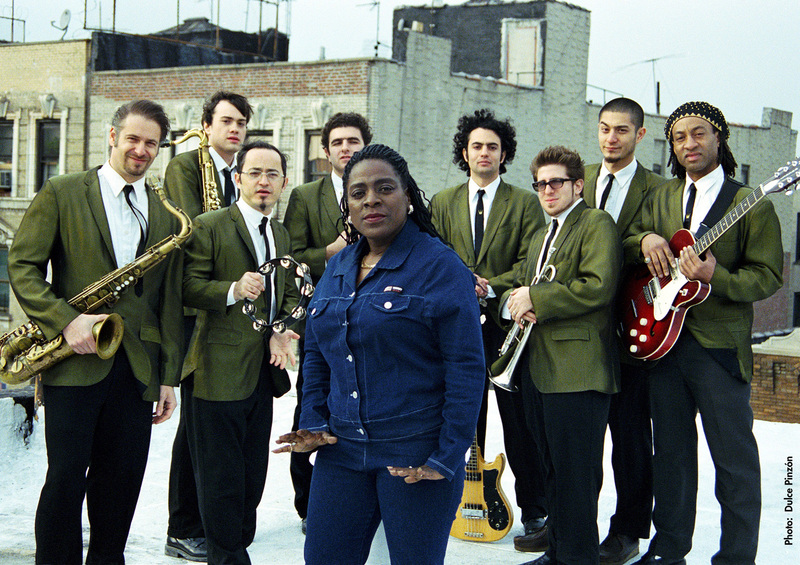 Local blues vets Iko-Iko will be jamming at Fritz and Franz Bierhause March 19, but prepare yourself for Sharon Jones and the Dap Kings at the Fillmore Miami Beach on the 20. Citizen Cope will perform two nights at the Culture Room in Ft. Lauderdale, the 24th and the 25th, but you’d be wise to save the 25th for Jacksonville’s The Fritz at The Funky Buddha in Boca Raton. The Fritz is another relatively new jam band, but they know how to bring it. Personally, I was thoroughly blown away when I saw them last time they were in Miami. And that about wraps it up for the month of March. Stay tuned for updates and additions to this month of killer live music! This entry was posted in Monthly Music Preview and tagged 9 mile music festival, badfish, bayfront park, boca raton, brass-a-holics, churchill's pub, citizen cope, conspirator, culture room, damian marley, disco biscuits, dopapod, fillmore miami beach, fishbone, fritz and fanz bierhaus, ft lauderdale, funky buddha, g. love, g. love and special sauce, giant panda guerilla dub squad, grand central, iko-iko, jackie gleason theatre, julian marley, kymani marley, lee boys, major lazer, marley, miami, pretty lights, rebelution, revolution live, shamarr allen, sharon jones, slightly stoopid, spam allstars, stephen marley, streetlight mainfesto, sts9, sublime, the dap kings, the fritz, the slackers, the stage, thievery corporation, tobacco road, transit lounge, ultra music festival, zach deputy. Bookmark the permalink.